Tags: bettie page, rockabilly, retro, vintage, off the shoulder, Plus, plus size. 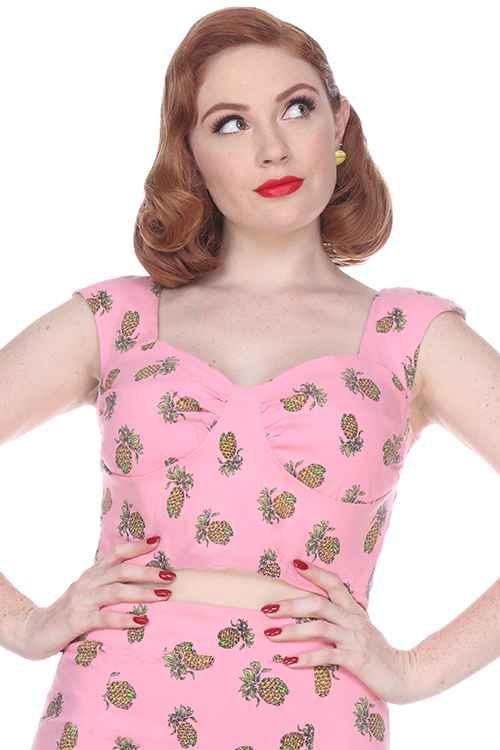 Complete your retro holiday outfit with this fun and flirty off-the-shoulder top from Bettie Page Clothing. This top is perfect for the pending holiday season–pair it with a high waisted skirt or pair of skinny jeans. With short sleeves and a dual button detail on the collar, this top is an essential addition to your extensive wardrobe of retro rockabilly clothing. Here at Dee Foreman, we pride ourselves on providing all of our beautiful customers with the highest quality and most stylish vintage-inspired looks. All of our products are designed, cut and sewn in the US.